Grigori Rasputin was a Strannik who befriended Tsar Nicholas II and help care for his ill son. He has been called Mad. He has been described as a Monk. Although a Christian Strannik, he has been accused of dabbling in the occult. First Comics News: Your story is based on the assassination of Grigori Rasputin. How is Grigori Rasputin portrayed in your story? 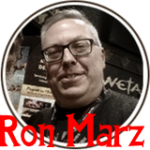 Ron Marz: The story opens with the assassination of Rasputin, and we stuck to the historical details as much as possible — poisoned, shot, and stabbed at Moika Palace, then dumped in the river. Of course, we give Rasputin a little sorcerous power, but we’ll chalk that up to artistic license. 1st: Who is Oswald Rayner? Ron: He’s the hero of our story, an actual British secret agent from the era. He’s rumored to be the man who actually killed Rasputin. So we based our character on the historical figure and then took off from there. We have supernatural and dieselpunk elements to our story, so certainly we’re straying from Rayner’s biography, but all the basics match up to history. 1st: How much of his portrayal is historic, and how much is “based on a true story”? Ron: Everything’s based around actual incidents — Rasputin’s assassination, the Versailles Peace Conference, even the Paris Air Expo. So everything has a basis in fact. But obviously we have monsters and black magic, so we’re making up a good bit of it. I think the bones of the story are historic, but the flesh we’re hanging on those bones is fiction. 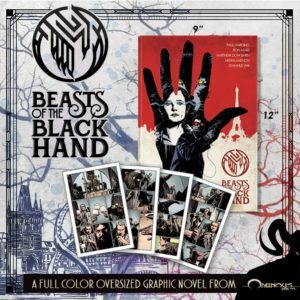 1st: What is the goal of the Black Hand? 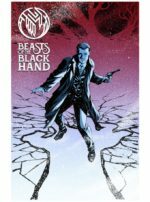 Ron: The Black Hand is a cabal of sorcerers and black magic users that wants to dominate Europe by throwing the continent into chaos via unleashing monsters into the world. They crave power, and intend to unite Europe into a kind of supernatural oligarchy under their rule. 1st: What is the Vucari? Ron: Vucari is a specific type of monster in the story … but telling you more than that would be a spoiler, so that’s all you get from me. 1st: Is this a Werewolf story? Ron: Nope, no werewolves … at least not yet. 1st: Who is Matryona Rasputina? Ron: More commonly known as Maria Rasputin, she was the daughter of Rasputin. She went on to have a pretty odd life, including working as an animal trainer in the circus. Sometimes truth really proves stranger than fiction. 1st: How much of her portrayal is historic, and how much is “based on a true story”? Ron: Again, we used the historical Maria as the springboard, and embroidered from there. We made sure there was a veneer of historical fact everywhere we could place it, and then proceeded to tell our story. 1st: How is Maria Rasputin connected to the Black Hand? Ron: Maria is an agent working for the Black Hand, a rather junior agent at first. She has to prove herself to her masters in order to fill her father’s shoes. 1st: What is the relationship between Maria Rasputin and Oswald Rayner? Ron: The short version is Maria wants Oswald dead, because he killed her father. But obviously the other layer is Maria is working for the Black Hand, while Oswald is trying the thwart them. 1st: Is this story on-going or done in one? 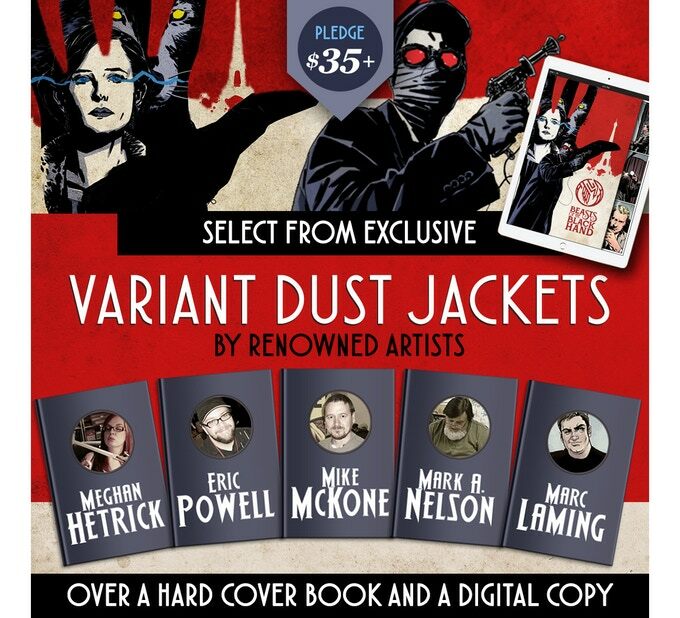 Ron: We’d love to make this a multi-volume series of graphic novels, assuming the support is there from backers. The first volume has a feeling completion, if not conclusive, but there’s definitely more to tell. 1st: What is the minimum pledge for a digital copy? Ron: We have a $14 reward level for the digital graphic novel. 1st: What is the minimum pledge for a physical copy? Ron: The oversize hardcover graphic novel is $25. 1st: What rewards are you offering? 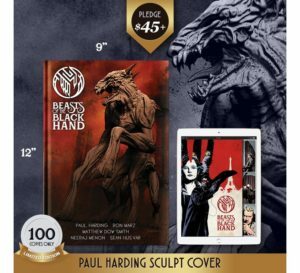 Ron: There’s a complete range of rewards, including variant covers by Mike McKone, Marc Laming, Eric Powell, Meghan Hetrick, Mark A. Nelson, and Paul Harding; a print set; a Beasts Box that even includes Death Wish Coffee; and maybe most interesting, a number of sculptural rewards by Paul Harding. We just added the original art from Mike McKone’s cover as a reward. 1st: When will the comic ship? Ron: Matthew Dow Smith is just a few pages from finishing up all the art, and Neeraj Menon is more than halfway done with the coloring. So the entire thing should be finished up in a month or so, when you take production and proofing into account. We expect to be printing in January, since most printers don’t work around the holidays, and shipping to backers in late January/early February. 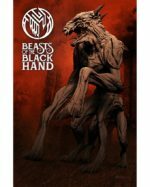 1st: For anyone still on the fence about Beasts of the Black Hand, what makes it so cool no true comic fan should miss it? 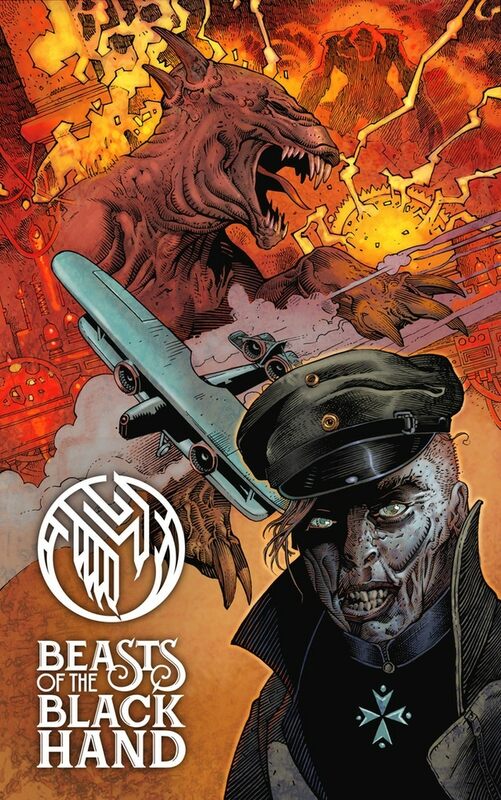 Ron: I think the coolest thing is that thanks to Ominous Press and our Kickstarter backers, Paul, Matt, Neeraj and I are getting to tell the story we want to tell in exactly the way we want to tell it. We’re not making compromises, we’re making the book we want to make. That’s a pretty rare opportunity for creators, so we’d love for readers to come along with us.